Murray is an experienced healthcare professional with a background in mental health, social psychology and organisational communications research. He is a Visiting Professor at the Health Systems Innovation Lab at London South Bank University, where he co-leads the Darzi Clinical Fellowship Programme for London, Kent, Surrey and Sussex. He is former Programme Director at the Centre for Innovation in Health Management at the University of Leeds, where he led a number of applied programmes focussed on improving quality in healthcare. He teaches a core module entitled “Power and Professionalism” on the MSc in Quality and Safety Improvement at the Faculty of Medicine and Health Science at the University of Nottingham and is an expert advisor to the East Midlands Academic Health Science Network Patient Safety Programme. Murray has taught extensively on a wide range of postgraduate leadership programmes in the North America, Scandinavia, Ireland and Australia. Murray has an enduring interest in the social dynamics of organising in complex human systems and is an Associate member of the Institute of Group Analysis. Over the past 10 years, Murray has developed expertise working with patients and professionals who have been seriously affected by error and avoidable harm in healthcare. He has a specific interest in the moral and ethical dimensions of professional practice in this domain and contributed to the Public Inquiry into the failings at Mid Staffordshire NHS Foundation Trust. Murray is a member of the Advisory Panel of the newly formed Healthcare Safety Investigation Branch (HSIB) in England and was a core member of the NHS England Surgical Never Events Taskforce. His current research interests include improving the quality of response after healthcare harm, the role of family trauma in shaping community health outcomes, and the use and misuse of power in professional relationships. Murray is a member of the Medical Journalists Association and has significant experience as an independent producer, journalist and editor, stimulating debate around key public service issues. He has published numerous comment pieces, articles and book chapters associated with social and cultural change within complex human systems. He is Executive Producer of www.patientstories.org.uk, a body of work designed to stimulate debate about quality and safety in healthcare. 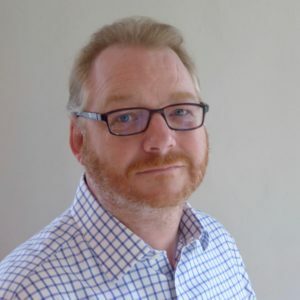 He is editor and publisher of “Joshua’s Story: Uncovering the Scandal at Morecombe Bay NHS Trust” (Anderson-Wallace 2015) by James Titcombe OBE, and is co-author with Professor Becky Malby of “Networks in Healthcare: Managing Complex Relationships” (Emerald, 2016). His current portfolio is predominantly focused on the public sector and includes strategic advisory work with many national organisations, campaign groups and networks, recently including The Scottish Government, The Department of Health and Social Care, The Royal College of Surgeons of England, The Health Foundation, The Clinical Human Factors Group, and numerous NHS providers and commissioners. Murray has also recently been appointed as Special Advisor to the Independent Review of Workplace Culture at Save the Children UK. His early career included community development work in the third sector, followed by clinical and managerial roles in the NHS. Murray then spent 10 years working within commercial consulting with AT Kearney, BP Amoco, London Underground and the Mott MacDonald Group, specialising in strategic relationship management and cross boundary collaboration in large infrastructure projects. He also worked internationally with the US Federal Government Presidential Board on digital development within tribal communities and on a major research initiative with the Confederation of Danish Industry and the Central Trade Union of Denmark to foster cross boundary working in Industrial settings. Read Murray’s full profile here.